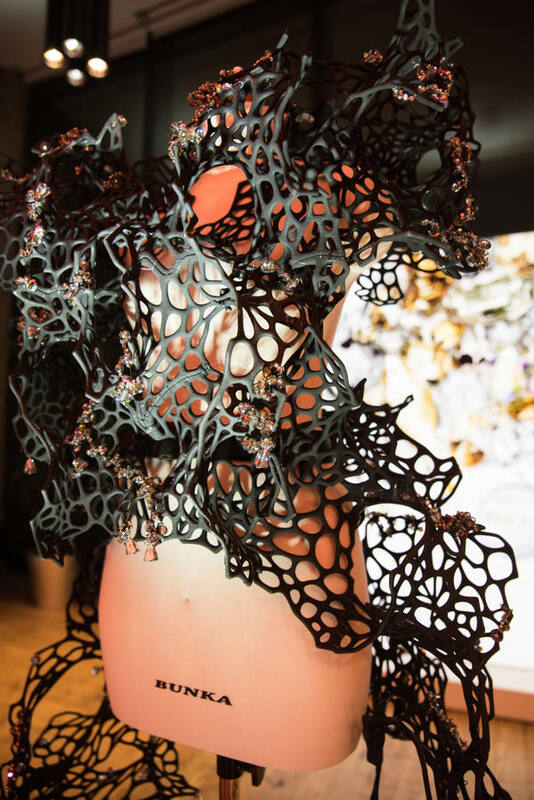 Swarovski Professional invited speakers from H&M, Stella McCartney and Haeckels to talk about the newest sustainability developments of the beauty and fashion industry at Barbican Centre in London in the Garden rooms. Luxiders covered the event. Swarovski is an Austrian crystal and gemstone company founded in 1895 and a passionate advocate of ‘conscious luxury’. A responsible relationship with people and the planet has been an integral part of the company since it was founded. Dax Lovegrove, the Global Vice President Corporate Sustainability & Social Responsibility at Swarovski talked about their sustainability agenda including their CLEAR standard, which ensures that its products and those of its suppliers are free from harmful chemicals like lead. Swarovski’s sustainability achievements include reducing energy usage, lowering emissions and opening a headquarters called “Manufaktur” in Austria where they are able to control their manufacturing processes directly to ensure more sustainability in the future. The new creation of the headquarters was illustrated by a video. On the other hand, Dax Lovegrove spoke about the Swarovski Waterschool Program. It has educated over 500,000 children in 2,500 schools worldwide on water sustainability since 2000 and is also a signatory of the UN Global Compact, Women’s Empowerment Principles, the WEF’s Compact for Responsive and Responsible Leadership and member of the industry-led Responsible Jewelry Council. 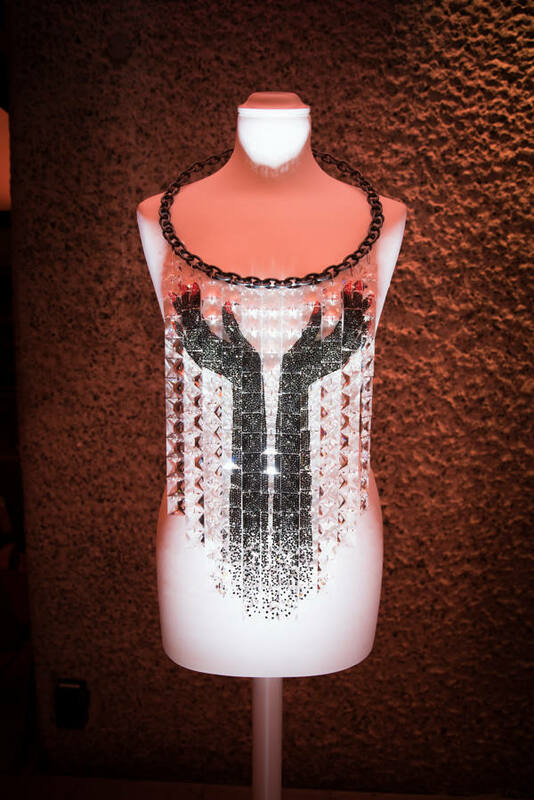 The rooms at the Barbican Centre were filled with jewelry and fashion pieces created using upcycled crystal and other responsible materials, including jewelry from Atelier Swarovski featuring Fairtrade Gold and lab created stones, and crystallised runway looks from Vivetta, Richard Quinn and Victor & Rolf. The panel How To Spend It was moderated by Beatrice Hodgkin, Deputy Editor of Financial Times. She was asking questions on sustainability efforts of the small to large fashion and beauty business represented. The guest speakers, Claire Bergkamp from Stella McCartney (Sustainability & Innovation Director), Nina Shariati from H&M Group (Transparency & Innovation Business Expert) and Dom Bridges from Haeckel (founder) discussed topics including shifting customer expectations and how the industry can create change and drive innovation across product, marketing and supply chain. It was introduced by some facts on the fashion industry and why there is a need for sustainability. The global population increases and consumption goes up which makes sustainability more important in the future. The fashion industry accounts for 10% of global carbon emissions and only 1% of textiles are being recycle. Claire talked about key ways of innovation at Stella McCartney. She explained that Stella McCartney "was founded in 2001 as a vegetarian luxury brand, meaning it started with innovations. Quality, sustainability and design are equal in the core of the business since the start". Now the brand is using innovative animal free materials working with silicon valley companies that work on lab grown, animal free silk made from yeast or leather made from fungi. Another innovation Stella McCartney is working on is the fibre to fibre recycling. They are trying to take fabric waste and recycle it into new fibres. She added that Stella McCartney has more control over the supply chain because they get less demand in comparison to H&M and produce less than H&M, a company that produces masses of clothing monthly. Claire explained that sustainability is not tangible and clear like e.g. organic cotton is. 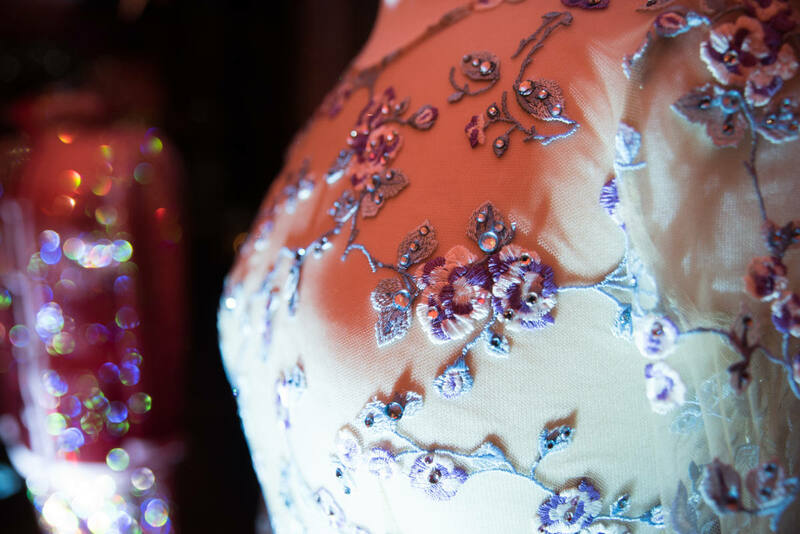 Therefore, it is used lightly in the fashion and beauty industry. She added that "consumers should question companies and NOT trust them blindly". She recommended asking questions directly to the companies to gain transparency. Claire Bergkamp added that consumers are buying more clothing than ever, spending more money than ever while buying cheap fashion. She recommended consumers to rent clothing over buying clothing they know they are only going to wear once. Nina Shariati talked about transparency and how H&M Group set sustainability goals to only use sustainably sourced materials by 2030 and to be climate positive throughout supply chain including suppliers by 2040. However, she added that H&M Group doesn’t know how to get there and how to reach these goals. She admitted that there is a need for innovation to be able to these reach goals which is why H&M Group created an innovation department which tasks include investing in new start-ups so that they can start working with them. She admitted that H&M Group gets scrutiny due to being one of the top 5 most transparent companies globally, evaluated by Fashion Revolution. For the future, Nina recognised the need for more sustainable change because of limited resources and growing population. Next in the panel was Dom Bridges, who founded the natural skincare brand made from seaweed. His local company uses local ingredients to create high quality small batch beauty products. He explained that when demand appeared in Japan they added production facilities to Japan to keep their production sustainable and avoid transportation by plane. True transparency to the core is possible for companies like Haeckels due to the size of the company. The panel ended with a Q&A session to give the audience the opportunity to ask questions.